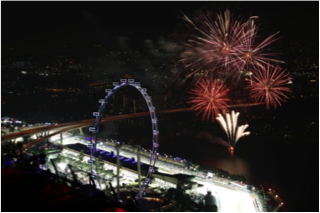 5 Mar 2014, Singapore – Race promoter Singapore GP Pte Ltd announced today that early bird sale for the 2014 FORMULA 1 SINGAPORE AIRLINES SINGAPORE GRAND PRIX general tickets will officially start from 12 March 2014 (0900 hrs, Singapore time). Race fans can look forward to new ticket options and significant savings of up to 25% off regular prices during the early bird phase for the seventh instalment of the only Formula One™ night race on 19, 20 and 21 September. Tickets will be released in two phases: early bird phase (12 March to 30 April 2014) and the regular phase (from 1 May 2014). 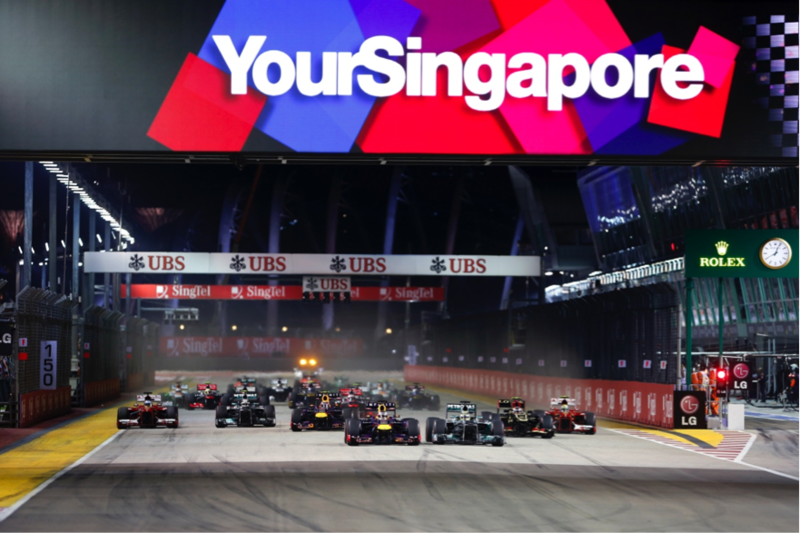 To cater to the increased demand for the popular Combination Packages introduced last year, Singapore GP has added three new combinations, offering race fans more flexibility to experience different parts of the Marina Bay Street Circuit over the three days. The new Combination Packages offer a mix of Pit Grandstand, Padang Grandstand and Bay Grandstand over the race weekend. This brings the total number of Combination Packages available to seven, with the price ranging from S$498 to S$888 (early bird phase). The hugely successful Group Booking Special, which was first introduced in 2011, continues to offer fans fantastic savings when they purchase four or more tickets in a single transaction. To enjoy greater savings, fans who purchase eight or more tickets in one single booking can enjoy more than 25% off a single regular priced ticket. In addition to the Pit, Padang and Bay Grandstands, this special deal will also be made available for Connaught, Esplanade Waterfront and Stamford Grandstands this year. For the first time, the following Zone 4 Walkabout tickets are released during the early bird phase: Friday (S$68), Saturday (S$158) and Sunday (S$188). With these tickets, fans can catch the thrilling race action up-close at strategic trackside locations, stellar performances by international headlining acts at the Padang Stage as well as other entertainment acts within Zone 4. The entertainment line-up for 2014 will be announced in due course. Fans who wish to purchase Esplanade Waterfront Grandstand tickets will enjoy a reduced regular ticket price of S$598 – a 14% reduction in pricing as compared to 2013. Three-day regular ticket prices for the other eight grandstands remain the same as last year’s. Early bird prices for the three-day grandstand tickets range from S$268 to S$1,088 (S$298 to S$1,288 during regular phase). Fans stand a chance to win a pair of exclusive Formula One™ Drivers’ Autograph Session passes, with the purchase of any pair of 2014 FORMULA 1 SINGAPORE AIRLINES SINGAPORE GRAND PRIX tickets before 1 May. 15 lucky winners will receive a pair of passes to the exclusive autograph session and pre-event cocktail reception on 18 September 2014. To participate, early-bird ticketholders would need to register their ticket transaction number (listed on the confirmation email or receipt) on the official Singapore GP website, www.singaporegp.sg. Tickets bought through Singapore GP's authorised agents will automatically be entered into the draw. Applications for this draw will close on 1 May, 2359 hours (Singapore time). 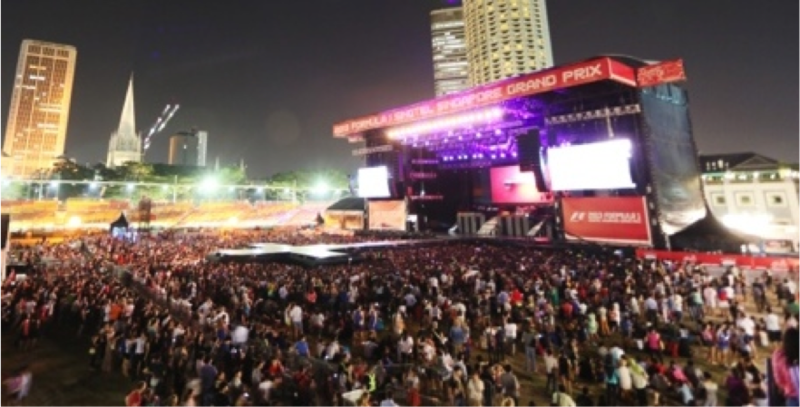 Tickets for the 2014 FORMULA 1 SINGAPORE AIRLINES SINGAPORE GRAND PRIX will be available for sale from 12 March (0900 hours, Singapore time) at www.singaporegp.sg, via the ticketing hotline +65 6738 6738 as well as authorised ticketing agents.